What the 25-year-old Beckham ‘requested’ Ronaldo to do will leave you in splits! 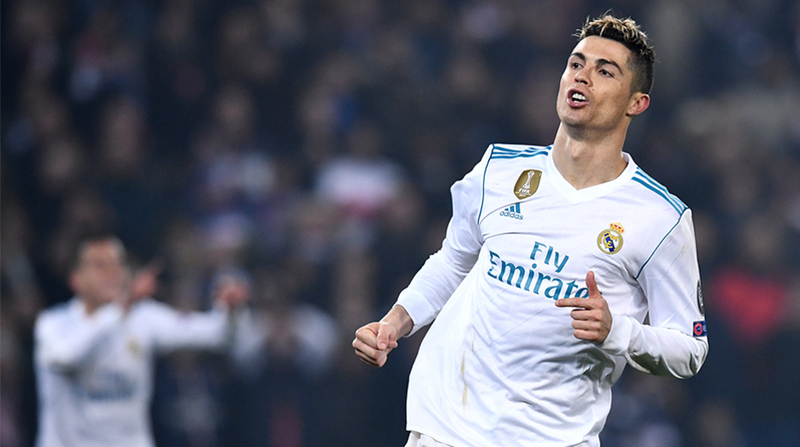 Superstars of two very different footballing worlds came together when New York Giants wide receiver Odell Beckham Junior met Real Madrid forward Cristiano Ronaldo for a Nike launch in Spain and the American jokingly requested the Portuguese on Instagram to not speak too rapidly in Spanish, sending their fans into peals of laughter. The two exchanged autographed boots, Nike ones of course, as they met on the sidelines of the American footwear giant’s Mercurial launch. Beckham, who’s enjoying his off-season to the fullest, is on a Europe tour and recently posted pictures from the Eiffel Tower alongside his mother, Heather Van Norman. Perhaps unsurprisingly, Beckham called Ronaldo the “G.O.A.T.” (Greatest Of All Time) on several occasions, echoing a popular sentiment. Alongside eternal rival Lionel Messi, Ronaldo is widely regarded as the best footballer in the planet with many claiming that the duo has surpassed the achievements of legends such as Pele and Diego Maradona even. Beckham was effusive with his praise for the Los Blancos‘ No.7, who just powered Real into the UEFA Champions League quarterfinals in mid-week and is now preparing to face Eibar in the La Liga. The 25-year-old Beckham had a injury-disrupted 2017 season, playing just four games before a leg fracture and subsequent surgery effectively ended his campaign and he’ll be hoping to take a leaf out of Ronaldo’s book, who almost never gets injured, as he goes back across the Atlantic.